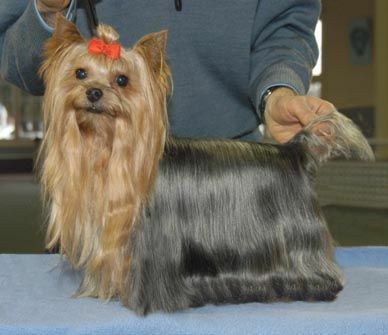 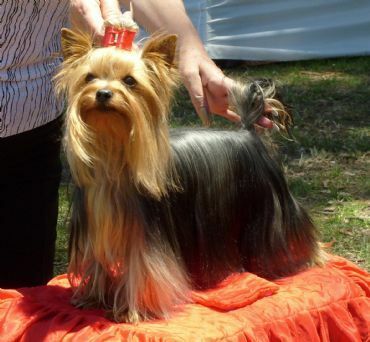 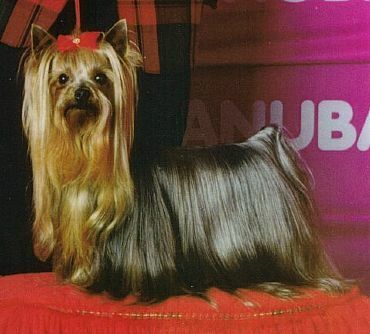 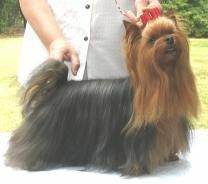 This page is to honour the Yorkshire Terriers who have attained the title of Australian Grand Champion. 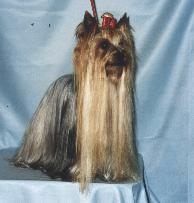 Please forward images and information to the Club Secretary for upload if you have achieved this award. 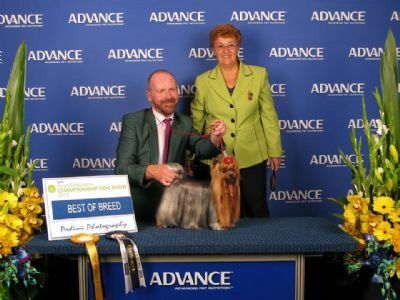 "Australian Grand Champion Karojenbe Go On I Dare You" (Dylan) and Owner/Handler Steven Reid and Breeder Linda Shaw. 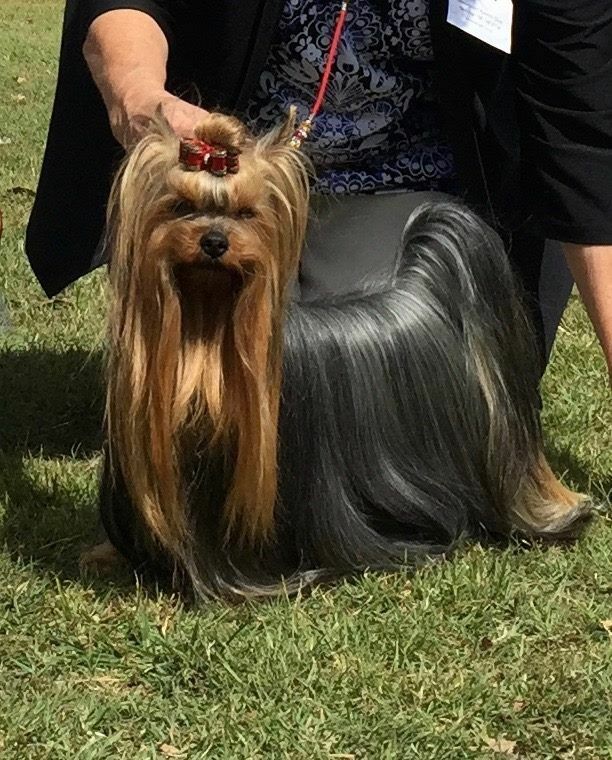 Dylan achieved his Grand Champion Status under Breed Specialist & Yorkshire Terrier Club of NSW Life Member Mr Les Bradney. 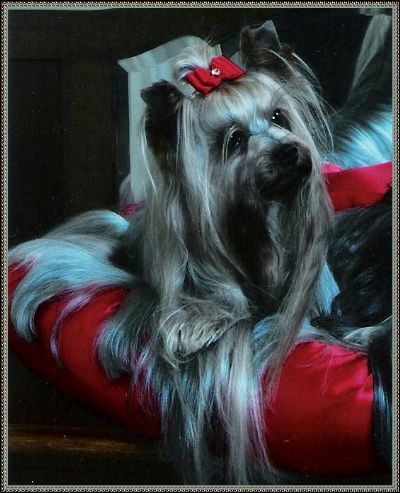 Les Bradney and Tom Tancred Bred & Exhibited Yorkshire Terriers under the Prefix Kelzarki in conjunction with former Life Member Dorothy Cooper under the Prefix Pohwaugh. 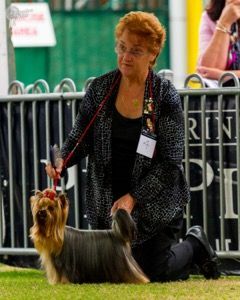 Les & Dorothy served as Presidents of the club. 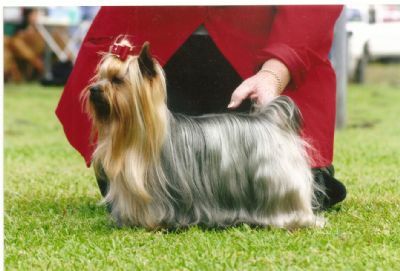 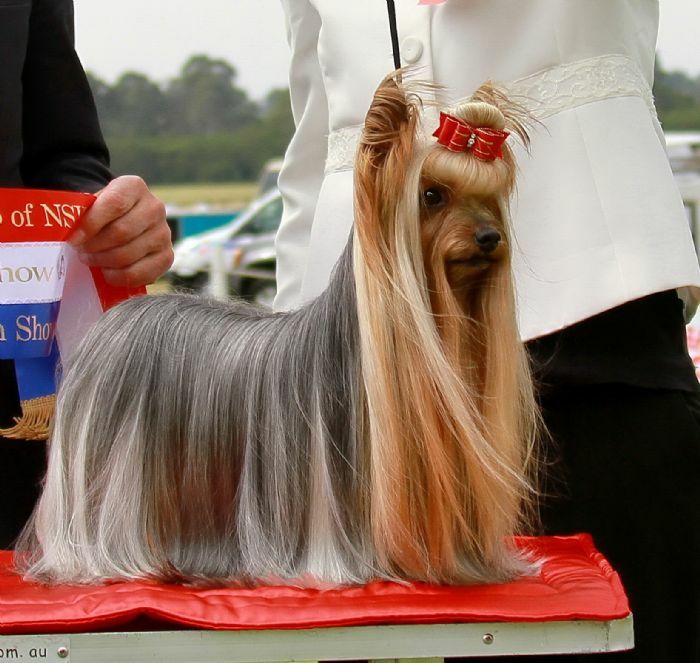 They have all made significant contributions to Yorkshire Terrier breeding in Australia. 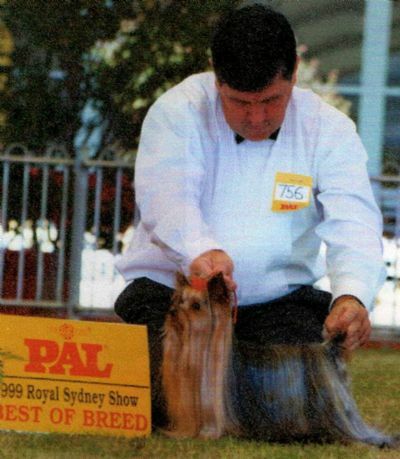 Mr Bradney is pictured above with Australian Champion Ancrownes Reputation shown to Best of Breed at Sydney Royal Easter Show 1999.